I just ran across an article on the CNet web site about a new public DNS service hosted by CloudFlare. The service is suppose to make web surfing faster and makes it harder for you ISP to track your surfing habits. Sounds to good to be true I realize and it is April Fools day but I tried it on an Android tablet and it does seem to make my browser seem faster. Here is the CNet.com Article. See what you think. And here is the Cloudflare DNS service page. I noticed this on the Whirlpool forum as well. 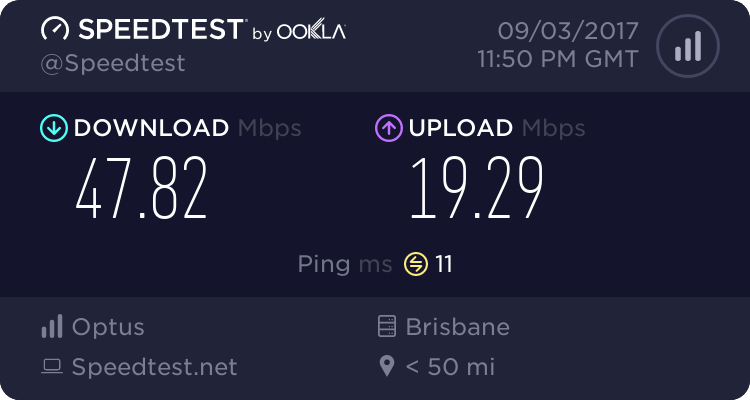 I have had mine set to OpenDNS for years, as it is quicker than the default Optus one. Edit: Here's the OpenDNS numbers if the tree people want to give them a go. I have used OpenDNS among others Arctos. It has always been a good call but I have to say that the Cloudflare service is faster for me. I am seeing noticeably faster page load times. It may just be because it is a new service with a smaller load at this time. We shall see.